I’m so pleased I followed my own advice. 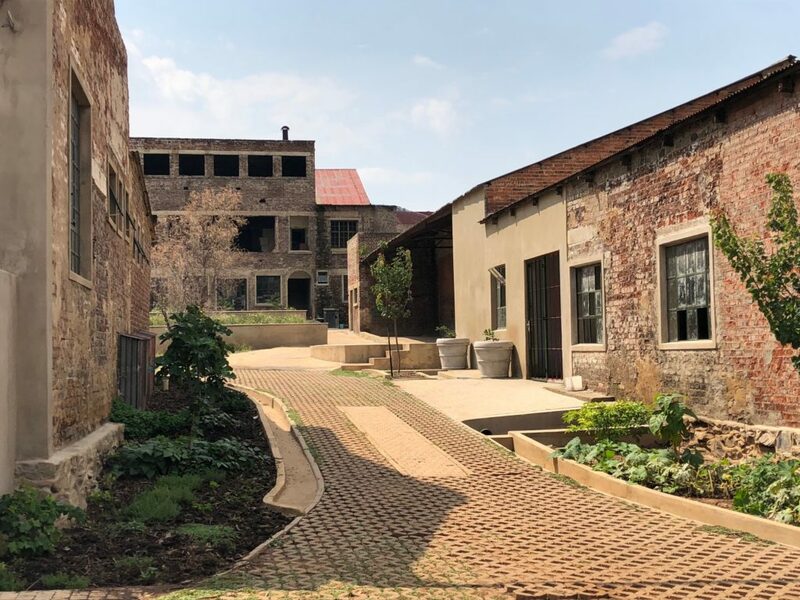 My Pick of the Week for the 4th February was a Johannesburg Heritage Foundation tour of Victoria Yards on Saturday 11th February and I wasn’t disappointed. Brian Green, of 44 Stanley fame, and the mover and shaker behind Victoria Yards, took the tour himself. I had been to Victoria Yards some five months ago in September 2017 so it was wonderful to see the progress. Victoria Yards was a dilapidated light industrial complex in Lorentzville, originally housing the New York Steam Laundry. 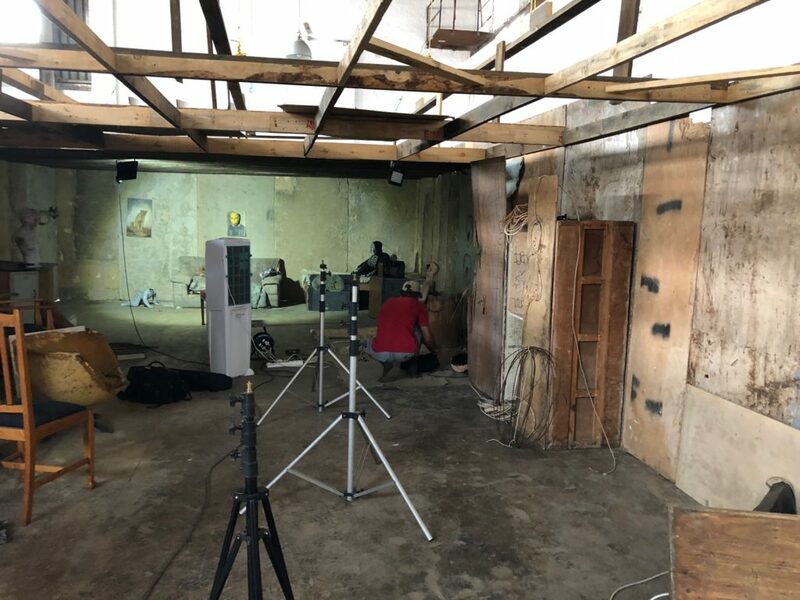 A friend of Brian’s was looking at the site in terms of a low-cost housing project but Brian saw potential for a communal artisanal space as well as a food farm and entertainment space. Brian explained how the site which is huge – 30,000 sq metres was very run down and dilapidated. 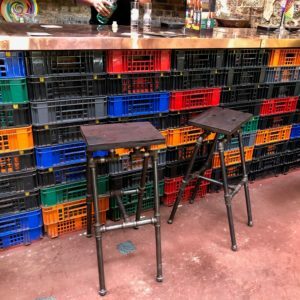 While clearly some negotiations with people using the spaces (mostly quite dodgy chop shops) Brian is at pains to say that the aim is to work with the neighbourhood and try to help normalize people’s lives. He argues that it is the antithesis of gentrification. Whether this is idealistic or not remains to be seen. But it seems that the project’s constructions workers, woodworkers, and recently David the horticulturalist (who has already worked magic) are residents of Lorentzville and its surrounds. 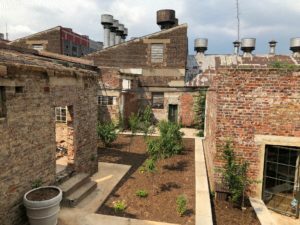 The spaces between the buildings have been planted up – all with edible plants, vegetables and herbs.Brian plans to encourage the community to come and work in the gardens to earn points which will in turn give them access to future music events at the site. What a win-win situation if it works. There’s a small building with natural daylight rented to locals who are starting to grow hydroponic strawberries. Stay at our well located Guest House and express beautiful nature in Lorentzville. View our Craighall Guest House for Rates and Availability! 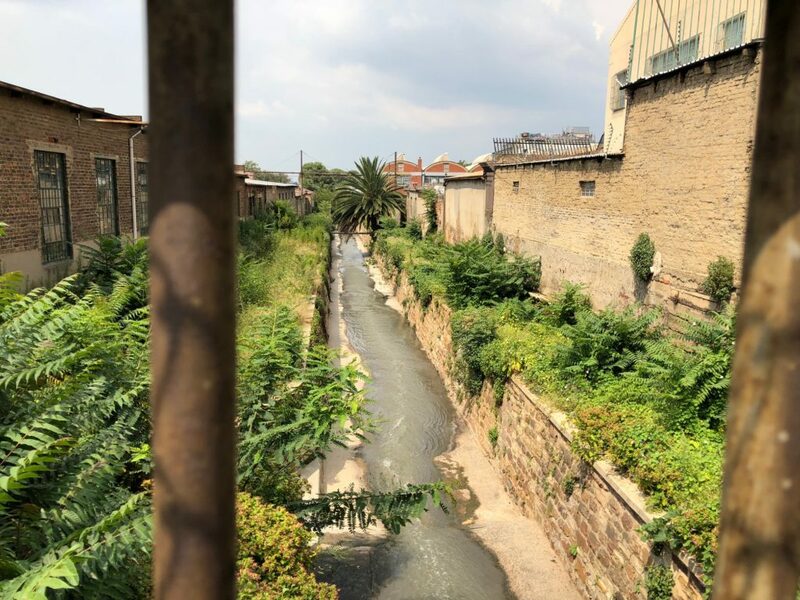 The source of the Jukskei is close by – in fact it surfaces in the Nandos’ property opposite and then runs through Victoria Yards. There has already been a huge clean-up with 75 truck loads of overgrown vegetation and rubbish having been cleared. Brian thinks big – his vision is to get a natural water purification system with aquatic plants and fish and eventually have pathways and swimming opportunities with controlled access for the community. And several artists and artisans have moved in to studio space. James Delaney and Pablo are there. 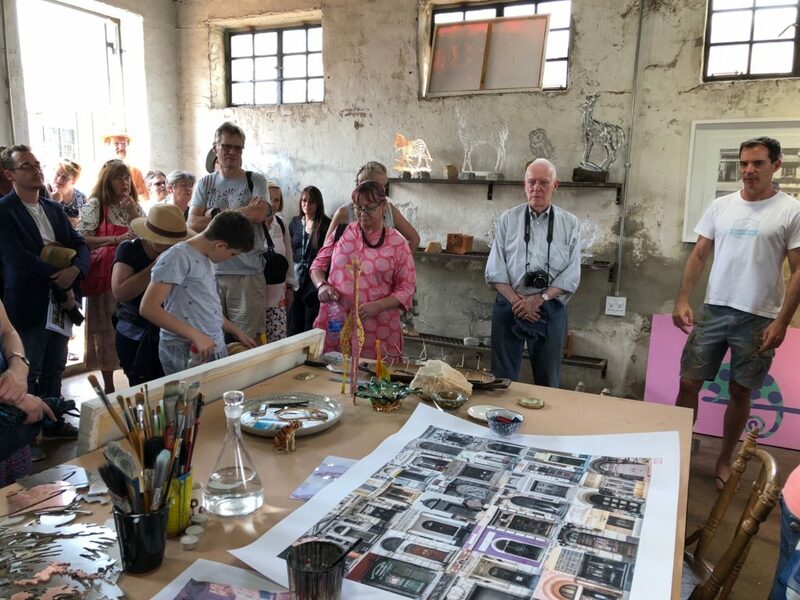 Wonderful to see his metal cut out owls and animals; his Johannesburg doors print (we have to find space on Liz at Lancaster’s walls); and his Joburg inner city and animal scenes. Roger Ballen was in the middle of a shoot so I’m not sure it was the ideal time for 40 gawking walkers to descend on him. We could only peek into Ayanda Mabula’s studio. Blessing Ngobeni also has space here at Victoria Yards. 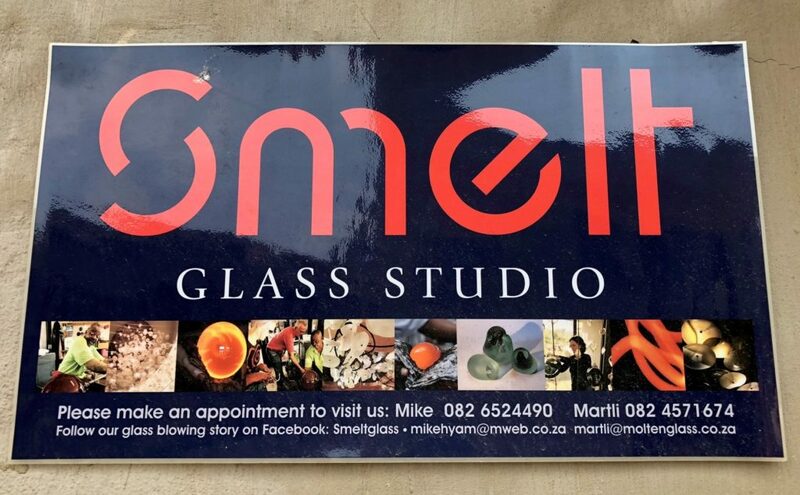 And best of all Smelt, the glass blowers who used to be at the Bamboo Centre in Melville have moved in. They will give classes, glass blowing demonstrations, rent space and of course sell their fabulous handblown glass. And Coote and Wench have amazing light fittings, hand-made and adapted from scrap and items collected in trawls through second hand shops. 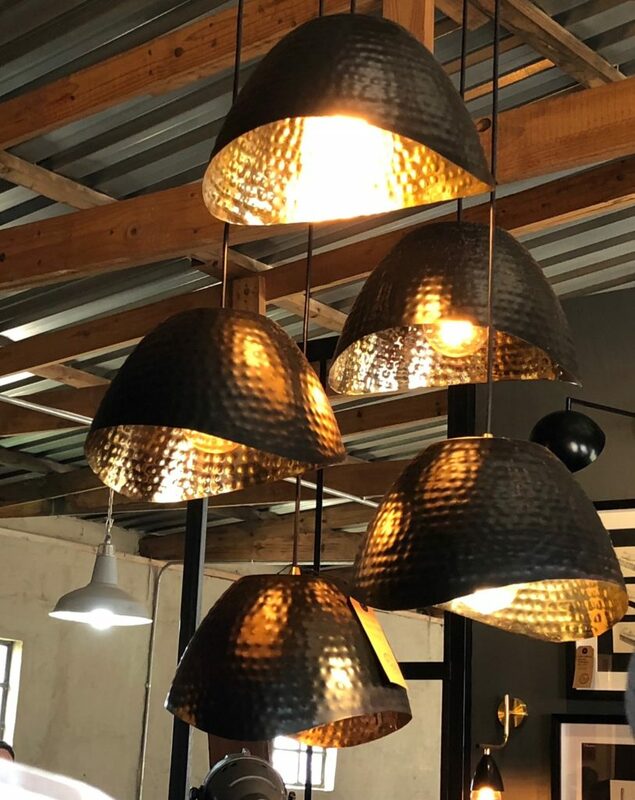 Brian’s vision is to have an ‘eco-system of industries’ – so in addition to these artisans there are also metal workers, woodworkers and silkscreeners. In the centre of the currently- used space are 3 large ascending terraces leading to a big building which Brian envisages as a canteen/restaurant space and an entertainment venue for concerts and events. They boast a bat box and an owl box with 2 fledgling barn owls which Brian was going to release at 4am the next morning. There is apparently a large resident rat population to keep them going and of course, all the planting is pesticide free. 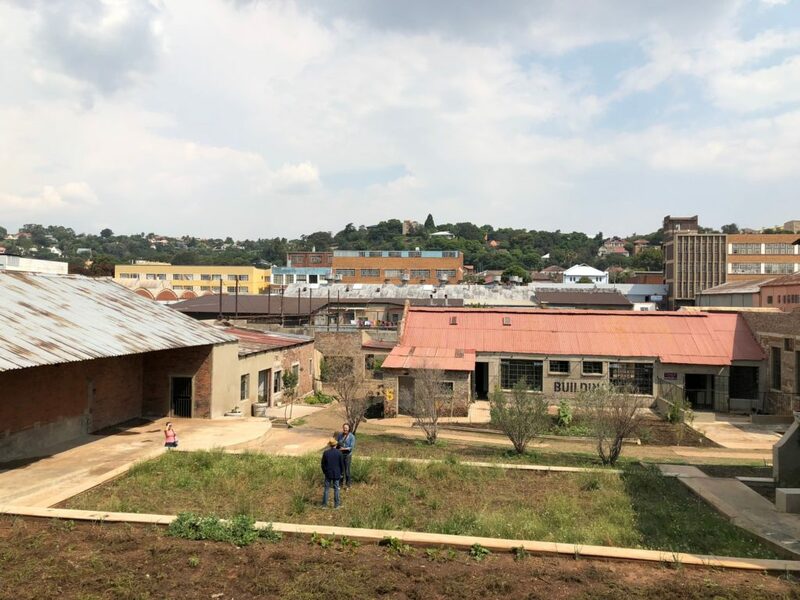 At the end of the Victoria Yards tour, we met Simon Mason who is in the Wits Department of Architecture and Planning and is researching change-making in the inner city of Joburg focusing on the eastern gateway. So he will be doing a lot of research on the challenges and pitfalls facing Victoria Yards as well as the successes. I felt bad as I was a bit pooped so did not finish with the tour which continued on into Bertrams ending up at the Twill Factory. When I saw all the Instagrams I had serious FOMO. But sometimes I just need time-out! 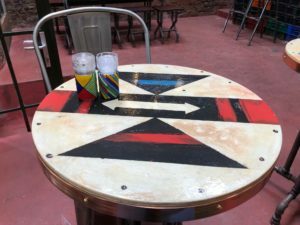 I did take a quick peek at Impi Brewing , a seriously funky little café. Amazing décor, such clever furniture made out of plumbing pipes and great décor detail. For more on this 2 Summers Post. Fun place to go for a chilled week-end lunch along with Treviso Café in the area as well as the Troyeville Hotel. 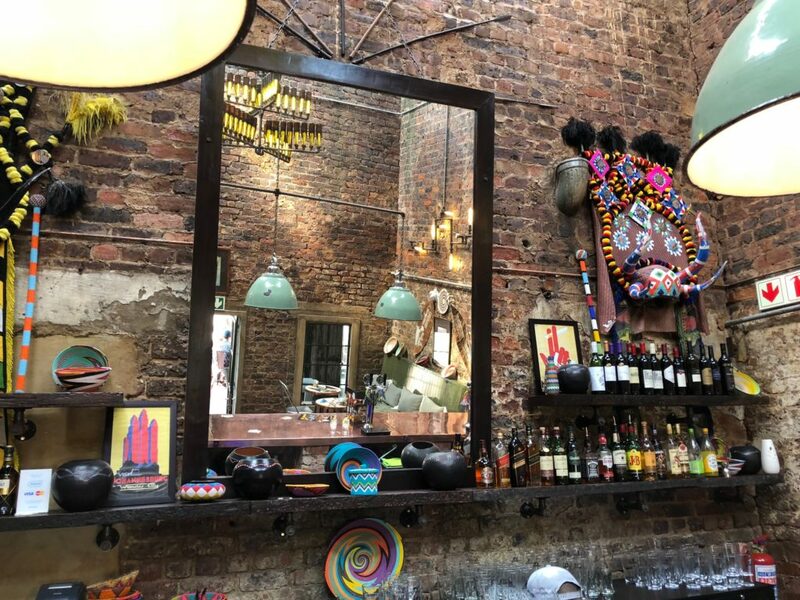 All these are on the First Sundays in the Valley itinerary along with the activities at Ellis House as well as the fabulously quirky Spaza Gallery. See you there! Thanks for the punt Liz.